A wholesome Ayurvedic meal that's bound to have you wanting more! A meal that is most popular in England originally comes from Anglo-Indian cuisine consisting of cooked, flaked fish, rice, parsley, eggs, curry powder and butter or cream. 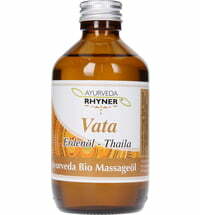 However, we're introducing you to the Ayurvedic version. Soak rice and lentils for approximately three hours (this eases digestion). Rinse the pumpkin and remove any seeds. Cut into small pieces. Roast cardamom, asafetida, caraway seeds and mustard seeds in coconut oil. Add the chopped onion, pumpkin, ginger and curcuma to the mix and cook until soft. Rinse the rice and lentils and add to the pan. Fill the pan with water to cover the rice and lentils and cook until soft. Add the garam masala and freshly chopped coriander to the rest of the cooked ingredients. Remove the cardamom pods and flavour with salt and pepper.